Mothers for Justice and Equality (MJE) harnesses and focuses the fierce love and protectiveness of mothers to create neighborhoods where playgrounds are safe and sidewalks are not threatening. 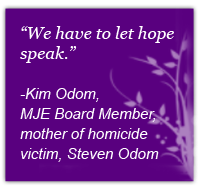 MJE was founded in the fall of 2010 with the vision of a world in which it is never normal or acceptable for children to be murdered. Our children’s lives have value and they must have the support of the entire community so that they are ensured a promising future. MJE believes that mothers are powerful change-makers in our communities. 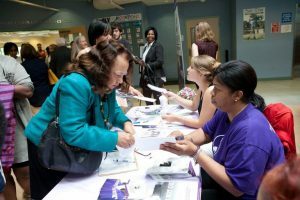 If given the right tools, mothers can become catalysts for change at home and advocates for change in their neighborhoods. Ultimately, MJE believes that change will occur as the internalized expectations of what is acceptable in our neighborhoods changes. Our children deserve to grow up free from fear and to have the support of the entire community. Mother to mother, family to family, block to block, we can change the story of our streets. 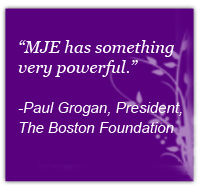 MJE’s approach is innovative; we counter violence with a focus on changing internal expectations and perceptions. We offer two areas of programming designed to support and inform each other: Education and Engagement. Engagement offers opportunities for involvement in civic action; Education teaches the tools of civic action. Combined these programs create and nurture new leaders. We collaborate with other service organizations, academics, and governmental agencies to explore opportunities for creative, effective actions and interventions. We leverage the combined experience and expertise of various sectors and the resolve of a committed community against the intransigence of urban violence.